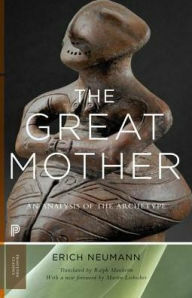 We will study the book “The Great Mother: An Analysis of the Archetype” by Erich Neumann. Venue: 1207A, 12/F, David House, 8-20 Nanking Street, Jordan, Kowloon. The main focus of the study group would be on the three schema described by Neumann. George will prepare case illustration of sand images to facilitate the discussion process. Schema 1 (facing pp 19): The development of the uroboros through the archetypal feminine to the great mother and further differentiations. Schema 2 (facing pp 45): Description of the unfolding of the Archetypal Feminine and illustration with pictorial representation. Schema 3 (facing pp 82): The structural diagram of the Archetypal Feminine, built around two axes and four circles. Please do not miss the opportunity to study this important book in sandplay therapy. This book is definitely not easy to read, but with George’s help, we can at least start it. This entry was posted in Study Group and tagged April Study Group 2016. Bookmark the permalink.